I’ve now been a chickpea-peeling convert for some time, and this technique seems to make quick work of it. Spread the chickpeas out on half a dish towel. Fold the remaining half of the dish towel over the top of the chickpeas and gently rub the dish towel over the surface of the chickpeas. I do this for about a minute and it loosens the peels. Pluck the chickpeas off the towel one-by-one, tossing the peel aside as you go. Transfer the peeled chickpeas to a bowl. 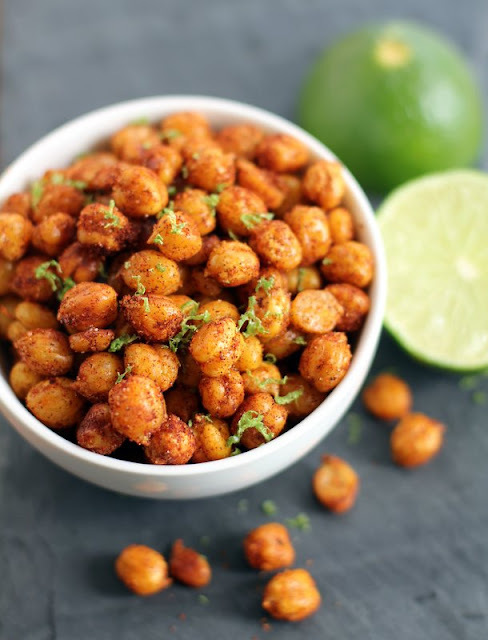 Once they are peeled, when the chickpeas meet hot oil in a pan, the outsides turn deep golden brown and so crisp that they are one of my favorite crunchy snacks.